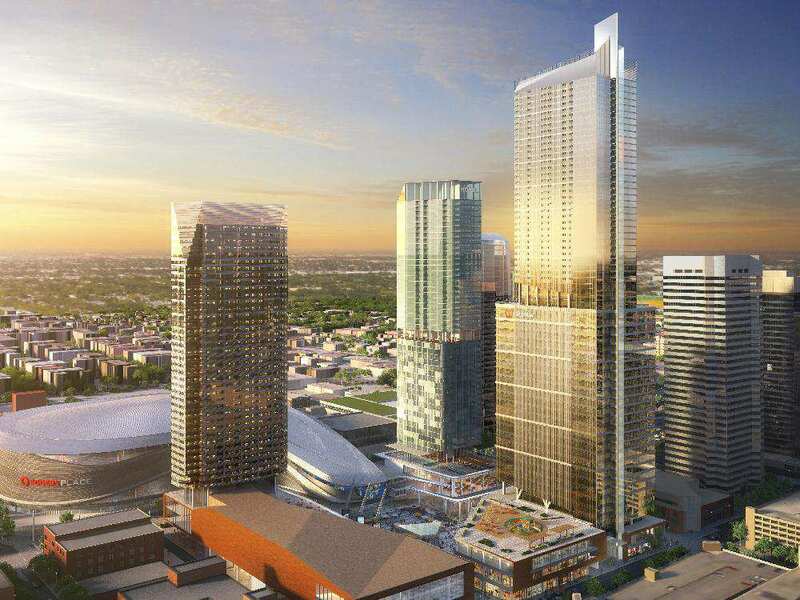 2019 UPDATE - Edmonton Ice District is a new downtown Edmonton development currently under construction that is the result of the new Rogers Place hockey arena being built for the Edmonton Oilers. The arena has now been open for business for a few years and the Edmonton Tower is complete and servicing Edmontonians daily. There has been more than 20 new restaurants and the entertainment district will be a hub for many who want all of the lifestyle amenities that appeals to those living today's urban lifestyle. The Legends Building and JW Marriott will be open in the Spring of 2019, and the new Stantec Tower and accompanying Sky Condos (now officially the tallest tower in Western Canada) is also nearing completion. Below is a comprehensive list of properties for sale within walking distance of this new entertainment area. There are new developments happening daily and so please contact me today if you have any questions on any of these properties!